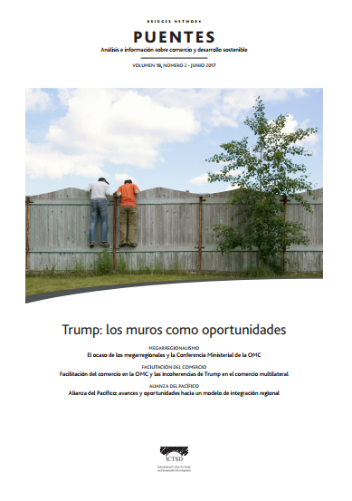 In an article published on June 24, 2017 in ICTSD (International Centre for Trade and Sustainable Development) journal Puentes, entitled “Defensa comercial en la era Trump: proteccionismo y oportunidades para las exportaciones brasileñas”, Roberto Kanitz and Mariana Barros analyze the attainments of Trump Administration on trade remedies during Trump’s first 100 days, pointing out strategic opportunities for increasing Brazilian exports to the U.S. in the midst of the American government protectionist wave. 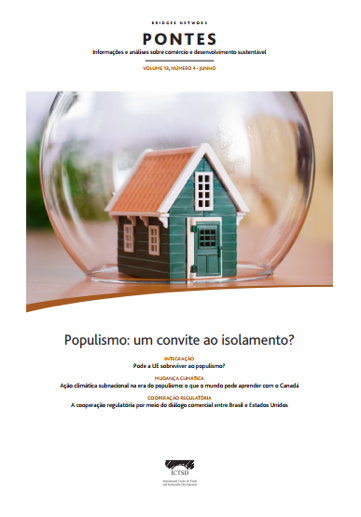 In an article published on June 22, 2017 in ICTSD (International Centre for Trade and Sustainable Development) journal Pontes, entitled “A cooperação regulatória por meio do diálogo comercial entre Brasil e Estados Unidos”, Roberto Kanitz and Stefanie Schmitt discuss the agenda of MDIC-DoC Commercial Dialogue, focusing on the bilateral cooperation between Brazil and the U.S. in regulatory convergence and coherence. May, 2017: Roberto Kanitz and Thomas Fisher clarified proceedings in Brazilian sunset reviews and recent changes in the Brazilian anti-dumping low. 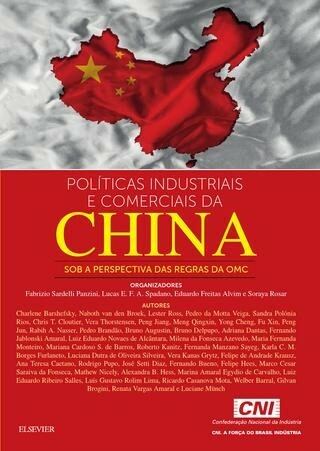 Roberto Kanitz and Mariana Barros are among the authors of the book “Políticas Industriais e Comerciais da China sob a perspectiva das regras da OMC” organized by the Brazilian National Confederation of Industry (CNI) and published by Elsevier, in 2016. Roberto and Mariana are co-authors of the chapter entitled “A disputa sobre restrições da China às exportações de matérias-primas” about the WTO dispute on the restrictions imposed by the Chinese Government on the exports of raw materials. November 3, 2017 (in Korean): Roberto Kanitz interview for the Korean journal “good morning news”. September 9, 2016 (in Chinese): Roberto Kanitz gave a speech on Brazilian trade barriers in the Chinese Commercial Office in Brazil. The article “China blame isn’t bringing smelting back to the US – UNO”, published on Fast Markets, on July 13, 2016, brings key conclusions of a report developed by James Breeden, Jussi Uitti and Thomas Fischer about the role of China in aluminum global market overcapacity and its impacts on the American industry. May 10, 2016: Roberto Kanitz gave a speech on technical and sanitary barriers to trade in a meeting of the Brazilian Fish Farming Association (PeixeBR). February 25, 2016: the Brazilian National Confederation of Industry (CNI) and UNO presented a research about regulatory barriers faced by Brazilian exporters, which was part of the Barriers Project, for the Brazilian Committee of Technical Barriers to Trade (CBTC/INMETRO). November 27, 2015 (in Chinese): Roberto Kanitz was a speaker in a seminar promoted by Taipei Federation of Industries about antidumping measures and trade barriers in Brazil. More information available at: http://wto.cnfi.org.tw/all-activity.php?id=384&t_type=s; and http://www.tami.org.tw/sp1/bulletin/other/other_1041211.pdf. November 25, 2015: UNO presented the Barriers Project, which aimed at verifing the impact of technical regulations, sanitary and phytosanitary measures in international trade, in a meeting of the Brazilian Committee of Technical Barriers to Trade (CBTC/INMETRO). August 5, 2014: in Partnership with Aduaneiras, UNO realized a seminar about the Brazilian trade policy and Market Access in Sao Paulo. April 30, 2014 (in Thailandese): Roberto Kanitz is a speaker on a seminar about Brazil, promoted by the Thai Embassy. April 10, 2014: Roberto Kanitz gave a speech about trade remedies in the Brazilian Association of Foreign Trade Companies (ABECE). 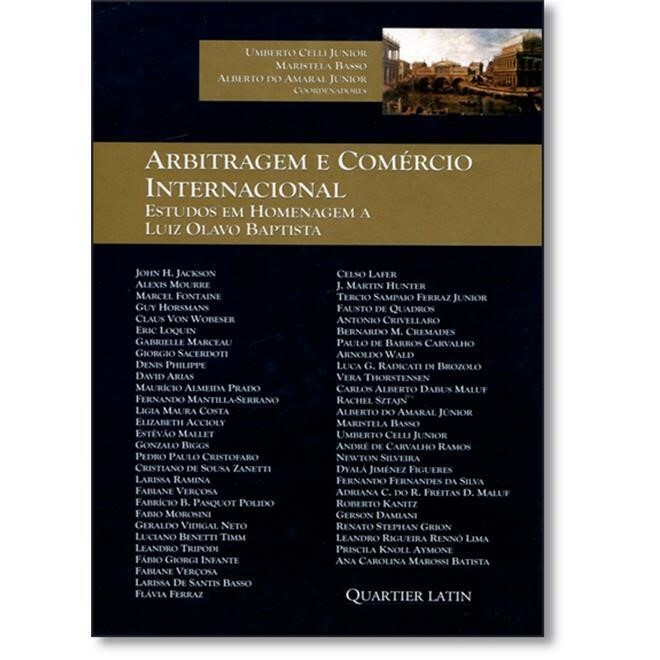 Roberto Kanitz is one of the authors of the book “Arbitragem e Comércio Internacional: Estudos em Homenagem a Luiz Olavo Baptista” coordinated by Umberto Celli Jr., Maristela Basso and Alberto do Amaral Jr. and published by Quartier Latin, in 2013. 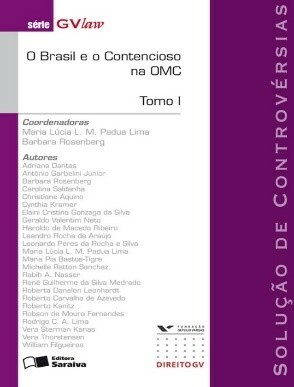 Roberto is a co-author of the chapter “A Regulação do Comércio Internacional e a Organização Mundial do Comércio”, about international trade regulation and the World Trade Organization. 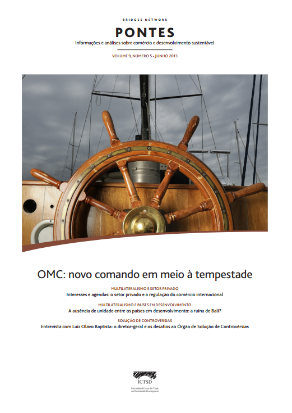 In the article “O diretor-geral da OMC: sua origem, função e influência” published on July 2, 2013 in ICTSD (International Centre for Trade and Sustainable Development) journal Pontes, Roberto Kanitz analyses the formal and informal limits faced by WTO Director-General and presidents of negotiation groups, based on WTO rules and on the historical dynamic of multilateral trade negotiations. 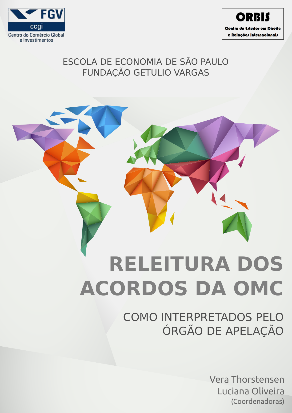 Roberto Kanitz, Gisela Sarmet and Stefanie Schmitt are among the researches of the project “Releitura dos Acordos da OMC: como interpretados pelo Órgão de Apelação” aiming at re-reading WTO agreements based on the decisions of the Appellate Body. The project was coordinated by Vera Thorstensen and Luciana Maria de Oliveira, as an initiative of the Center for Global Trade and Investment (CCGI) and ORBIS – Center for the Study of Law and International Relations. December 13, 2012: Roberto Kanitz spoke about the importation of nylon yards in an encounter of the Syndicate of the Industries of Spinning, Weaving and Garments of Blumenau (SINTEX). May 11, 2012: Roberto Kanitz participated in the 9ª Entrepreneurship Week, in a seminar about “future leaders”. Roberto Kanitz is the author of the book “Managing Multilateral Trade Negotiations: The Role of the WTO Chairman”, published by Cameron May, in 2011. 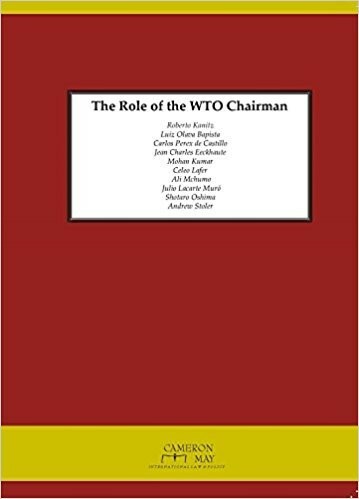 The book deals with the role of negotiation groups chairmen in building solutions by consensus and applies theory and practice in the study of multilateral trade negotiations. Roberto Kanitz is one of the authors of the book “O Brasil e o Contencioso na OMC”, edited by Maria Lúcia L. M. Padua Lima and Barbara Rosenberg and published by Editora Saraiva in 2009. He is the author of the chapter “Soluções Mutuamente Acordadas: Identificação e Seleção de Controvérsias Passíveis de Negociação”, about mutual agreed solutions.